Gouduniposh is a small village in Odisha, a quintessential village having kaccha roads and huts. It is quite far, almost cut-off, from the city, with the nearest one being around 90 km away. Majority of the working population of this village is daily wage labourer, who manage to find work for only 15-20 days in a month. It has one government school where kids apparently attend school only to be able to eat the free midday meal provided in the school- such as the heart-wrenching reality of the villagers here! Not just food, but the villagers here have faced several hardships to gain access to water too- with the entire village depending on a single hand pump, or resorting to a lake far away, for their water needs. At Claro Energy, we are focused on reducing the water woes of people living in remote villages and believe that access to water is a basic human right. This drives us to provide solutions to villagers living in villages like Gouduniposh y in the form of our solar-powered pumps. And the results speak for themselves – the village now boasts of 3 handpumps such that every household has one within 500 m! But what does this improved access to clean water mean for the villagers? An improved access to clean water ensures that lesser people, especially children, are inflicted by waterborne diseases, thus paving the way for a healthier society. Employing solar panels instead of unclean diesel to extract water has significance in terms of reduction in carbon footprint. Also, since all the villagers now do not have to rely on one lake, thus preventing it from drying up. All these factors create a ripple effect in terms of enhanced socioeconomic and environmental status, thus truly empowering the villagers in Gouduniposh. It also means that people can now devote less of their time to obtain water and devote it instead to income generating activities. Historically, women in villages have had to travel miles in search of water, wasting their time and energy in the process. Nearby access to water is a crucial factor in liberating them from this tiresome chore. and empowering them to allocate their time and energy to other productive activities. We have been working to ensure a proper supply of water to this area, to at least cater to the villager’s basic needs. Claro energy has ensured that every resident has access to a 24X7 water facility. In a developing country whose economy is centred around agriculture, and which is rapidly transitioning into the realm of renewable energy, the future of solar pumps seems brighter than ever. This is testified by the increased impetus given by the Government of India to the widespread deployment of solar pumps- in the Budget 2018, there has been a budget allocation of Rs 48,000 crore for distributing 17.5 lakh solar pumps, and solarizing existing pumps, as part of the ‘Kisan Urja Suraksha evam Utthaan Mahabhiyan (Kusum)’ scheme. The scheme has additional objectives of setting up 10,000 MW solar plants on barren lands, besides allowing farmers to sell the surplus produced energy to state electricity. This move is a welcome step towards ensuring the financial stability of farmers, and at the same time, bolsters the government’s ambitions of integrating a vast share of renewable energy in the overall energy mix. India is blessed with an abundance of solar energy and has a massive potential to transform this into electricity- the National Institute of Solar Energy in India has determined this amount to be a whopping 750 GW. Equally massive is the presence of agriculture in the Indian economy- it employs nearly 50% of the workforce, and contributes 17.32% to India’s GDP. Thus, an intensive economic practice like this needs reliable practices that can ensure a high yield of agricultural crops, such as efficient irrigation techniques. Water pumps have emerged as a dependable mode of irrigation, and the advent of renewable energy has ensured the rapid advancement of solar water pumps. At the fore of this breakthrough is The Ministry of New and Renewable Energy (MNRE), which has collaborated with various state governments and started promoting solar water pumps by providing various subsidies to farmers. The majority of pumps used today are either grid-connected or run on diesel. However, remote, off-grid areas, the rising prices of diesel, as well as the environmental implications of its usage, raise several questions over the efficacy of these traditionally-powered pumps. Our nation’s economic well-being hinges on that of the rural economy, which in turn depends on agriculture, rather cost-effective agriculture. Thus, innovative solutions and ideas are the need of the hour to revamp this sector. Solar pumps can be heralded as a solution that the rural agrarian society needs- they can be used in power deficient and remote regions, and reduce diesel consumption, both necessary steps to ensure sustainability as well as a clean environment. Besides, they provide farmers with an opportunity to generate extra income by selling surplus energy. In a nutshell, solar water pumps have immense economic, societal, and environmental advantages. The Prime Minister of India, Narendra Modi, has set an ambitious target of producing 175 GW of electricity from renewable energy sources by 2022, during the recently held International Solar Alliance (ISA) Summit at Rashtrapati Bhavan, New Delhi. The recent news of Diu becoming the first 100% solar powered Union Territory further cements the government’s conviction towards this great cause. This enormous increase in installed solar capacity would entail a proportionate increase in jobs related to solar energy. Indeed, achieving these renewable energy goals would be a step closer towards realizing an energy-secure and sustainable future. The government’s ambitious target to initiate wide-spread usage of solar pumps is a positive indication of the growth of the solar pump industry, which is likely to flourish in the coming years and aid in accelerating the sustainable development of our country. The immediate challenge facing the mass implementation of solar pumps is its high upfront cost, but taking into account the long-term benefits they provide, this challenge could soon be converted into a successful opportunity. Perhaps, that day isn’t far away when a solar pump in a farm is as ubiquitous as a tractor ploughing on a field! 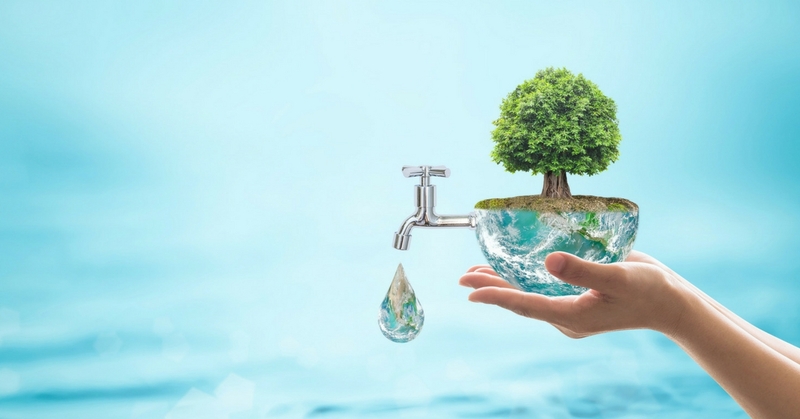 World Water Day, on 22 March every year, is about taking action to tackle the water crisis.In 1993, the United Nations General Assembly officially designated March 22 as World Water Day. World Water Day is coordinated by UN-Water in collaboration with governments and partners. Water is a basic requirement for survival, often touted as the ‘elixir of life’, but at the same time, there about 2.1 billion people on this planet who live without access to safe drinking water, spending countless hours queuing, trekking to distant locations to fetch just a few litres of water. World Water Day is an annual event celebrated on 22 March, to focus attention on the importance of water, as well as throw light on the challenges of water access that the society faces even today. 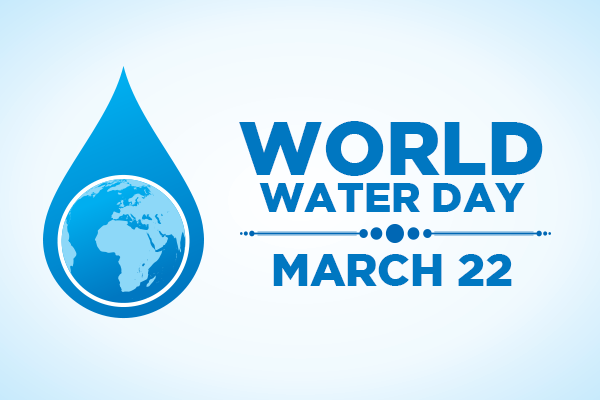 Spearheaded by UN-Water, a UN Body that coordinates the joint efforts of various UN entities, governments, and industries, this day is an annual reminder of the need to ensure global access to clean water, and the challenges associated with it. Pollution and contamination of freshwater resources, improper industrial practices, and poor infrastructure and policy regulations are some of the major roadblocks to ensuring water access. It is alarming that about 1.8 billion people use a fecally contaminated source of drinking water; this is the leading cause of more than 2 million deaths due to diarrhoeal diseases alone. The sad truth is that nearly 1,000 children die every day, due to preventable water and sanitation-related diarrhoeal diseases. More and more countries are coming under the ambit of water-stressed countries, with a majority of African countries facing severe water shortage and droughts. UN’s Sustainable Development Goal (SDG) 6 aims to tackle this very challenge. It has several targets to achieve by 2030, chiefly encompassing equitable access to safe water and adequate sanitation facilities, and pollution reduction to achieve improved water quality. This shortage can lead to severe outcomes- especially water and sanitation related diseases and adversely impacts both the people and the economy. The first and foremost step lies in creating better infrastructure and water management practices to overcome the problem of clean water shortage. This year’s theme for the World Water Day is ‘Nature for Water’, which strives to employ solutions inspired by nature, be it in treating wastewater or recycling water. Indeed, innovative solutions are the need of the hour to achieve sustainable water management. At Claro Energy, we have been innovating in the field of sustainable agriculture and ensuring that rural agrarian communities have access to safe and affordable water, for agricultural and consumption purposes. We have installed more than 8000 solar pumps across 16 states of India, for drinking, irrigation and sanitation purposes. Our breakthrough innovation of Pay-As-U-Go Mobile Solar Trolleys enables affordable energy and water access to the most marginal farmers who lies in the bottom line of the pyramid. Devising a solution for this means that first we fully comprehend the gravity of the situation. Once we understand how people across the world are struggling to find sources for safe water, we will think twice before letting that tap open. At the individual level, we can do our bit by ensuring that we use water judiciously and curb pollution of the water bodies. Change begins with us and once we start taking care of small things and take small steps, bigger things will eventually fall into the place. As they say, Every Drop Counts and each and every drop that we save may be finding its way to a world where everyone has equal access to clean water! In recognition of Claro’s significant contribution to the renewable energy sector and the innovative leadership of its founders, Amity Business School has conferred upon Claro’s founder and director, Mr Kartik Wahi, the “Amity Leadership Award for Excellence in the Energy Industry”. The award recipients are chosen by identifying successful businesses and services to acknowledge the achievements of the individual and organization in the realms of leadership, enterprise, innovation, strategy, CSR and business performance in creating value for stakeholders and nation. This is also an initiative to honour all those who have set examples for others to follow. This prestigious award further bolsters Claro’s conviction towards creating sustainable agriculture solutions. We believe it will add more momentum to our expansion in the solar energy market and pave the way to becoming leaders in this field. The global warming is on a rise, polar glaciers are melting, subsequently, each year sets is own benchmark as the hottest year and a many more other issues. Slowly the actions of human beings on Mother Nature is now showing the adverse effects and its high time now. Voluntary Nature Conservancy along with Claro Energy is organising a ‘Greenathon’ in order to raise awareness among the citizens and spread the message and ways to protect our planet. There will be two events namely ‘Green Charotar Run’, which will be a ¼ Marathon and ‘Burn Fat not Oil’, a Cycling Fun ride. This will be a 10 km event and along with this a 2.5 km, Green Walk will also be conducted. The ¼ Marathon is in five categories and there is a single category for Cycling Fun Ride. Why Are These Events Necessary? In order to spread the awareness among the responsible citizens, and to promote the use of Clean and Green Energy, we must support this endeavour. Global Warming is a serious and a threatening challenge that must be tackled at the very moment. Also, the deadly pollutants are making it difficult for people to even breathe, in short, if not now, then this thing can be fatal in near future. We must volunteer for a change, as a change is always initiated on a small scale. A minor change in lifestyle and day to day activities can show significant results in the long term. Simple steps like riding a bicycle to work, or taking a public transport for commute can be very effective. Further, by using our natural resources judiciously, we can bring in a great change as well. Truly said by Mahatma Gandhi, “Nature has enough for Man’s need, but not for his Greed”, and we must always insist on this. Reducing our energy use can help us conserve natural resources as well as reduce pollution. Why is a Switch towards Cleaner Energy required? Since the beginning of the industrial era, human beings have excessively exploited the natural reserves of coal and petroleum. The coal reserves are facing the shortage of coal, there has been no new discovery of major oil fields and the level of pollution is extremely out of control. In order to keep our planet green, we must switch towards cleaner alternatives of energy like Solar, Wind and other sources. These energy forms will not just help us to save our planet, but will also cut down our bills by several times. Energy alternatives like Solar and Wind are sustainable and are available in excessive amount. Therefore, one must take a pledge to save our planet and switch towards cleaner alternatives for day to day uses. These may be a switch from electric geyser to Solar Heater or using Solar Rooftop for electricity, use of electric vehicles and bicycles. How Claro and VNC are together helping towards a Cleaner Society? VNC has constantly worked for the protection of the environment with a mission to educate the masses and to spread awareness about the crucial need for environmental protection. More than 2,30,000 has been educated through this noble cause. Claro Energy is a leading name in the Solar Irrigation industry. Our efforts have resulted in a significant cut in the CO2 emission by the use of Solar Pump sets in place of diesel pump sets. Our solar rooftop projects play an instrumental role in saving electricity and bills. Together we are building a better future, a cleaner and greener planet. Being the responsible and aware citizens, we must act in order to protect our nature and restore its pride. What is a Solar rooftop? Solar rooftop are solar panels placed on top of roofs of commercial, institutional or residential buildings. They capture the light energy emitted by the sun and convert it into electrical energy. This setup is also known as solar rooftop photo-voltaic system. It produces a clean, Eco friendly form of energy, meaning that it’s which does not produce any type of pollution or harmful gases. Solar market all over the globe is on a verge to make our mother earth a healthy and secure place to live. A solar rooftop panel only requires space and abundance amount of sunlight for efficient working, and on some days when the sun is on low spirits, batteries stored in the panels will work as a savior. The manufacture of solar panels and ancillary components is labor intensive, requires moderately skilled labor. Even setting up solar rooftop systems requires labor power, both directly and indirectly. Post installation, technicians are involved in ensuring timely service and maintenance of these solar rooftops, though this number is fairly low as solar electricity systems are mostly hassle free. According to a report submitted by Bridge to India, job creation in the installation of solar rooftops will be the highest. Manufacturing, designing, business development, administration,design and drawing,project development,accounts are many other job opportunities that spring up with the solar industry. Solar rooftops need only the light of the sun to generate electricity, making it a cleaner source of energy than most other usual forms. Its renewable nature promises sustainability. No health hazards are involved and no pollutants are emitted by solar rooftops. No extra land is required to set up rooftops. With widespread usage, solar rooftops can help in minimizing global warming. Solar rooftops are very cost effective. They are one-time investments which continue to serve both nature and the society for a much longer time. In the long run, they turn out to be less expensive as compared to diesel generators or even grid electricity. People who switch to solar energy experience a huge cut in electricity bills, hence saving a lot of money. Solar rooftops are now being increasingly used for residential areas – both large complexes as well as medium to large-scale private housing e.g. About 280 households in Gandhinagar were fitted with solar panels last year. Resale value of a house will also increase if it comes with an installed solar rooftop system. The money spent on terrifying electricity bills will be cut short and the money saved can help a family invest in a better lifestyle. Setting up solar rooftops is also philanthropic in nature. It not only serves the environment but serves society as a whole. There are schools and colleges in various small districts of the nation where the supply of electricity is improper, this poses a threat to education of the pupils, also because of lack of power the students in villages cannot take up digital education, especially during the night they are not able to study because of darkness.All these problems could be overcome by adopting solar techniques. The hospitals will not face any obstacle in treating their patients because of lack of power. The use of cleaner energy will also increase the life expectancy rate among people. India has become a leading nation in solar energy. In its Budget 2015 India announced a target of adding 175 GW of renewable energy, including 100 GW of solar power, by 2022. A subsidy of 30% for setting up solar rooftops has been given to general category states and 70 % to special category states. Solar rooftops have an expected life of 25 years which make them worth the investment. Education forms the basis of everything in today’s world including environment. Environmental Education imparts knowledge about the current situation and future prospects of nature. It teaches people to explore all the problems related to environment, and engage in wise ways of preserving it. A number of schools have taken the initiative to provide practical as well as theoretical knowledge about the impact of human activities on Nature. They take students out of the four walls of a classroom and make them do activities like gardening, watering plants, meditation in community parks etc. Education is the only way to make the best minds work productively. In this era, the natural world is under threat. Different species of Flora and Fauna are on the verge of extinction, the air we breathe, the water we drink, the food we eat – everything is polluted or has contaminants. By including Environmental studies as a subject in schools, as well as in higher education, we can make coming generations more sensitized and encourage them to find innovative solutions and methods for the way ahead, in order to protect nature. Here are 5 reasons why there is a need that the learning years should be integrated with environmental education. In order to take any step towards protecting our environment surroundings, we need awareness, which can come only from studying subjects related to our ecosystems. What are the issues the world is facing today? What are the components which constitute the universe? What are the different species of plants and animals? How can we ensure their long term survival? What is sustainability and how can it be achieved? All these questions will be answered only if we learn about the environment and apply that knowledge practically. Both physical and mental health get affected with a depletion of the environment. These can instead flourish if we come more in contact with Nature. One of the best benefits of this type of education is that it takes place outside the confines of a classroom. Students, who would not have otherwise spent this time outdoors, experience serenity and the healing powers of nature. In fact, treatment through natural means is called Eco-therapy. It helps patients recover from depression, cures heart ailments, maintains Blood Pressure, sleep longevity, improves eyesight etc. It’s a no hidden fact that a person who remains closest to nature is likely to stay healthier. “ Medicine, law, engineering, these are the noble pursuits, necessary to sustain life but poetry, romance, love, beauty, these are what we stay alive for”. Such creative work, more often than not, are the products of nature. Environmental education can make people recognize the hidden artist within them. It can encourage today’s generation to switch to safer and better choices. One would know the rescue drills for natural calamities better, how to use your greens better (they can do what no medicine can) etc. Environmental Education is one subject that warns you against everything which may go wrong. Renewable sources of Energy: Environmental education makes people understand the importance of renewable energy. Non renewable sources of energy like petrol, diesel etc are the major sources of the world’s pollution. Using renewable sources like solar energy, wind energy etc is encouraged Environment Education, and is imperative in our fight against global warming. There are various projects being taken by Governments and organisations for enhancing Ecological education throughout the world. The Indian government has established The Environmental Education, awareness and training program with an objective of spreading this in remote areas of the country as well as other developed parts. The National Environmental education act 1990 requires to provide national leadership to increase environmental literacy. It also established the office of environmental program to implement this. CPR environmental education center was set up by the ministry of environment of India to increase environmental consciousness. Environmental consciousness is being spread through cinema and digital media as well. Al Gore’s documentaries and Amitav Ghosh’s books have been revelations, as have been Leonardo Di Caprio’s efforts. Social Media campaigns daily publish more and more information on environmental conservation. All such initiatives will help making world a better place to live. Apart from these the students who study environment will further educate people about the importance of nature. They will make people aware about the traditional and technical ways of protecting the planet. The sixth edition of the Asian Entrepreneurship Award (2017 edition) was held on the Kashiwanoha campus in Chiba Prefecture, Tokyo, Japan from October 25th to October 27th 2017. 21 technology startups were selected from 15 countries and regions, mainly in Asia. They competed under the criteria of innovative business models, potential economic and social impacts, and business feasibility. Despite many worthy competitors, with truly disruptive solutions, CLARO Energy was selected as top of the crop for our work in developing an innovating in the rural agricultural sector in India. Apart from CLARO Energy there were five other companies who were awarded. In addition to various cash prizes, winning companies will be given an unlimited plan to use the 31 VENTURES office’s co-working space managed by Mitsui Fudosan, and they can also receive support for deploying business in Japan. Mr. Michael Arafant, founding chairman of Fusion Systems Japan, said, “Claro has had a great social impact, trying to deliver a simple solution to many people, the entrepreneurial spirit being demonstrated. The winning company can use the co-working space of “31 Ventures”, a venture exchange base handled by Mitsui Fudosan co-hosting AEA for 2 years free of charge. CLARO Energy emerged as a winner as because of its commitment to innovate for rural Indian farmers with irrigation solutions that rely on renewable energy. CLARO, over the years, has brought significant change in the lives of farmers and others affected by water scarcity. The installation of more than 3000 solar pumps across 16 states speaks for itself. The Asian Entrepreneurship Award was set up to reward and encourage young entrepreneurs who make the best use of technology and creativity to solve various problem. This award was introduced by the Japanese government in 2012, and since then the award function brings big and small, private and public enterprises, government and educational institutions together in one single frame to propagate a transformation in Asia. AEA aims to construct an ecosystem which will bring innovation to the entire world. It is a platform which help young entrepreneurs from all over the world to meet and inspire each other. Yeoda, is a village in Dariyapur block of Amravati district, Maharashtra. it is one of the largest villages of the Amravati district with a population of around 12000 (acc to 2009 census). Agriculture is the main occupation of this village. Education, water for irrigation and household purposes, roads and electricity are the main concerns . The village still lacks proper medical and health services. It is one of those Indian villages waiting for technological developments to take place in order to progress. If government institutions provide support to the villagers, it will will see the real development. One of the biggest problem farmers face here is lack of water and grid electricity. It’s a known fact that Maharashtra observe very frequent droughts and Amrawati is one of the worst drought affected districts. Along with droughts, low level of ground water make the matter even worse. Most of the farmers are dependent on diesel for irrigation and only cultivate one crop a year. It’s not economically viable for the farmers to produce more than one crop and irrigate it with diesel pumps. Extensive use of diesel not only pollute the environment, it eats a major share of their profits. This is the reason why in-spite of owning large share of lands to cultivate, the economic condition of the farmers doesn’t paint a very happy picture. Switching over to solar pumps reduces the magnitude of the problem of irrigation pumps to a large extent. Claro energy installed solar pump in the village some time back and a significant transformation was noticed in the lives of the farmers. The solar pumps reduced the maintenance cost for the farmers and also contributed in the production of healthier crops and also they are now able to produce multiple crops because of the uninterrupted availability of water. Many hurdles were faced during the installation process. Driving was not possible in this area as the black soil used to stick with the tyres of the vehicles. Lack of quality infrastructure made it difficult to commute to the fields. Material was taken from one place to another on bullock carts and on the carts attached to the backs of Donkeys and Ponies. Mr. Purushottam Gawande, a farmer of Yeoda village said that earlier he was living under the fear of crop failure due to lack of water for irrigation. He was able to cultivate only dry crops. Dependency on expensive diesel took away a major share of the profits. Droughts, irregular rainfall added more wooes. He like many other farmers were stuck in the circle where investments were high and returns were lower. He finally switched to solar pump for irrigation and soon he was witnessing the benefits of switching to a sustainable source. Solar pumps empowered him with access to water for round the year irrigation. With enough availability of water he started cultivating multiple crops and within a span of 2 seasons he witnessed 30-40% rise in his produce. Mr. Gawande is really thrilled and happy with the outcomes and on a road to create awareness in whole of the village as well as in adjoining areas about solar pumping and the latest economical and environment friendly technologies.